Woah 40!!!! Cant believe it! Only 10 more to go! 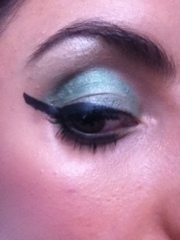 So todays was a green like envy look! 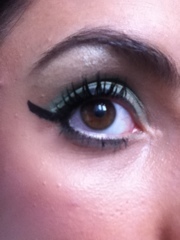 I used my ElF palette. 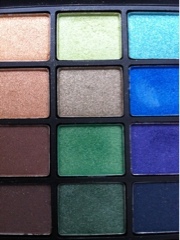 See picture for the shades I used. I used the first green shade for my base and as a highlighter. 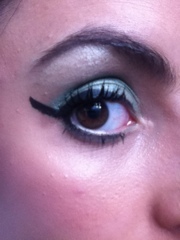 A darker emerald shade for my lower lash line, my crease and lid. 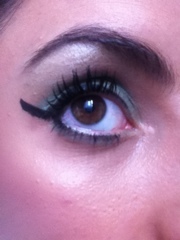 A long flick of gel liner and and mascara complete the look. already follow you, lovely blog though.